The Expos home opener was the first Major League Baseball game to be played outside the U.S., and that game began a love affair that has endured through the years. 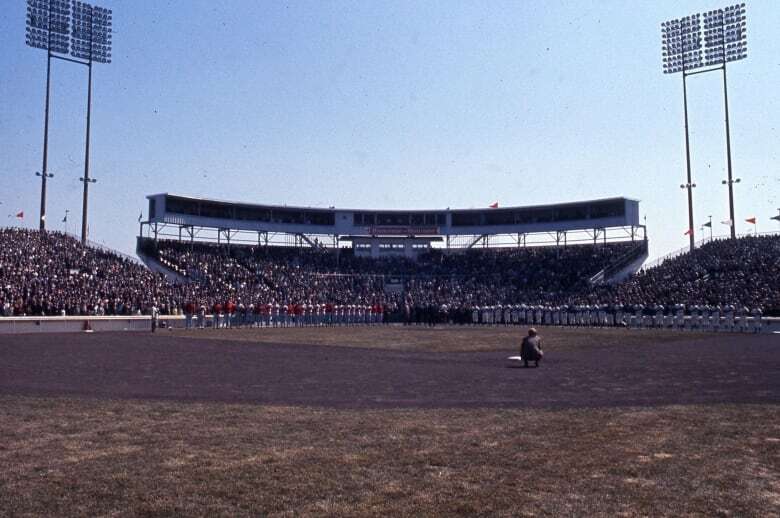 On April 14, 1969, Jarry Park Stadium played host to the 1st MLB game outside the U.S. The Montreal Expos played their first home game in mid-April, so of course, the weather was an issue. Hours before the game, team staff, including general manager Jim Fanning, were on the field at Jarry Park Stadium, shovelling snow off the field. 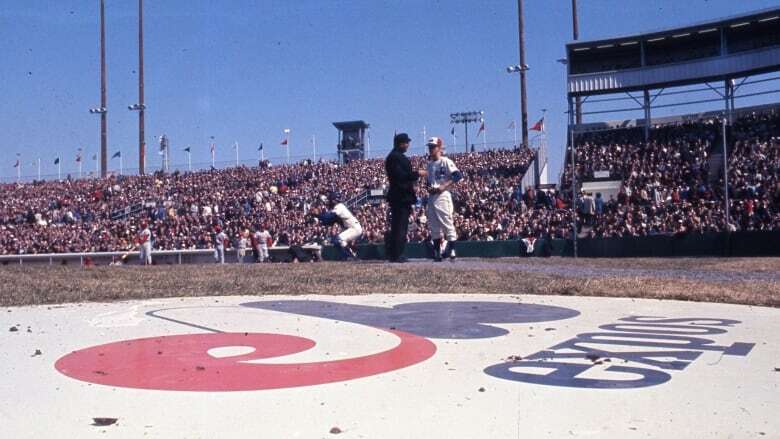 It's been 50 years since the Expos made their debut, on April 14, 1969. It was the first Major League Baseball game to be played outside the U.S. — a game that sparked a love affair that has endured through the years. 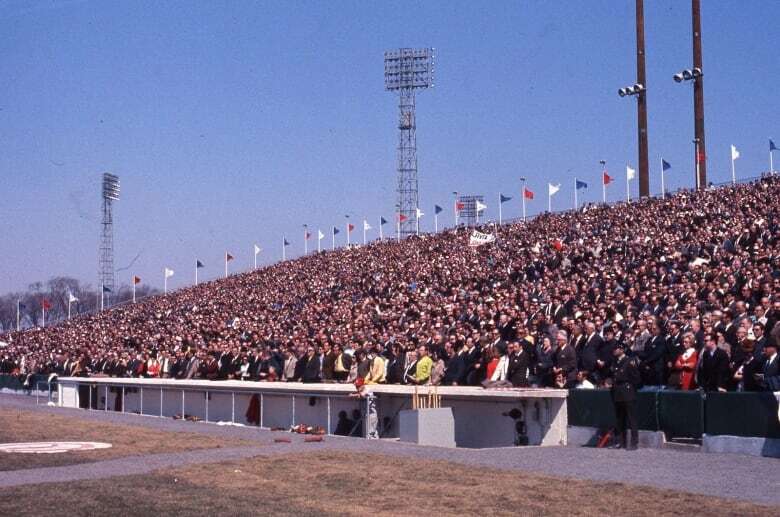 The stadium at Jarry Park wasn't built specifically for the Expos — it hosted youth games for the better part of the decade. It needed some upgrades before it could play host to Nos Amours. Crews worked 20-hour days at time in a seven-month period to get everything done. The finished ballpark boasted around 29,000 seats, made of aluminum, a 12-by-24-metre scoreboard, and 30-metre-long dugouts, according to Il était un fois les Expos, a two-tome, complete history of the team, written by former play-by-play announcer Jacques Doucet and writer Marc Robitaille. The dugouts were right near the seats, putting fans right into the action. Like most ballparks of yesteryear, it had quirks — namely the swimming pool behind right field (dubbed Willie's pool after Pittsburgh Pirates slugger Willie Stargell, who hit a ball right into the pool) and the bleachers in left field (dubbed Jonesville after Mack Jones, more on him later) — that added to the charm. The Expos didn't exactly have an easy opponent for their Montreal debut. They played the St. Louis Cardinals, the reigning National League champions. Fans were treated to an Expos home run right off the bat. In the first inning, left fielder Mack Jones sent the second pitch of his at bat "deep, deep to right centre field," as heard in the call by play-by-play man Hal Kelly. A full house watched the Expos squander a six-run lead, but still pull off an 8-7 win. Robbie Hart, filmmaker and director/producer of Nos Amours, a documentary about the Expos, attended his first game at Jarry Park in 1970 as a teenager. He said Jarry Park was a quaint, innocent place — and though it was never meant to be a big league ballpark, the wow factor was still there. "I was stunned by the beauty of the grass, how green it was, the colours, just walking up," he said. He said he still goes to Jarry Park to play tennis there, and he can see the remnants from the Expos days — the old bleachers, concrete walls and concrete steps in some aisles. Some say memories of Jarry Park have been romanticized, and that the park wasn't nearly as magical as it's now made out to be. Hart is not one of those people. "It was perfect for the first few years," he said. "On a cold April night, it was not easy to be in the stadium. But in a nice hot summer night, it was gorgeous." 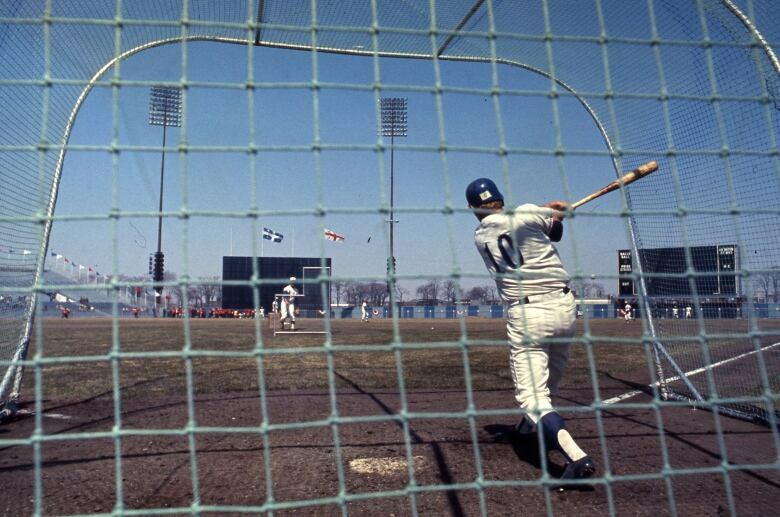 Jarry Park was home to the Expos from 1969 through 1976, when they moved into the cavernous Olympic Stadium. The baseball field was turned into what's now called Stade IGA, home of the Rogers Cup tennis tournament. Stephen Bronfman, the businessman spearheading the return of baseball to Montreal, has said he would want a new stadium, to be something of a "Jarry 2.0" — cozy, friendly, and very baseball friendly, with a "real Montreal flavour to it." Hart says he wants to see a true baseball park, one similar in size to Jarry Park, with a retractable roof that would offer a view of the blue sky during day games and the night sky during night games, and real grass. The ambience and quirks, he said, will follow. "It is going to be the best home ever. 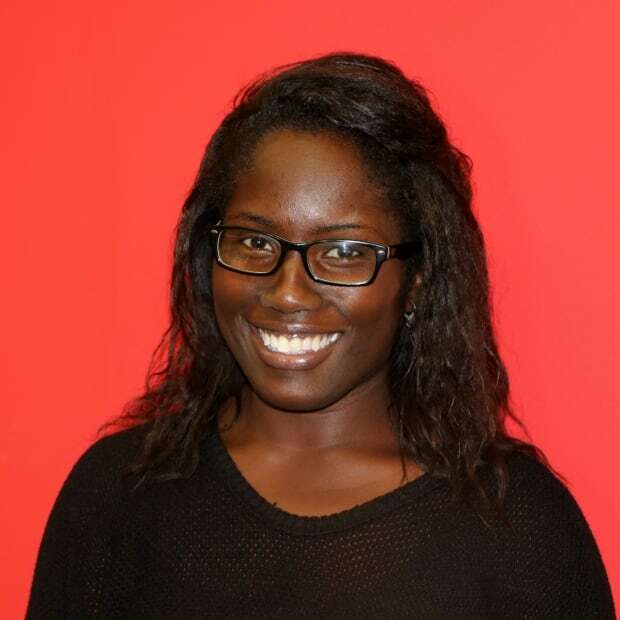 They're finally going to get it right." From 1995: How will 'baseball's comeback' play out in Canada?